Obama’s Hope and Change? Or Sell Out? 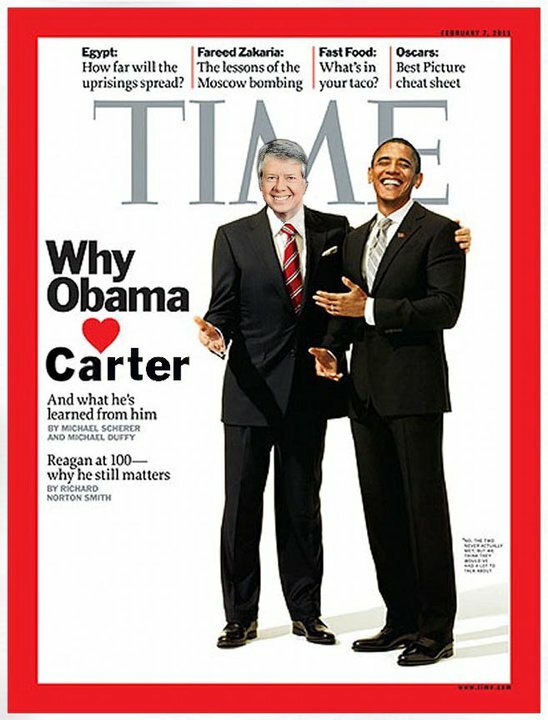 It’s difficult to believe a man still living can be reincarnated, but more and more it appears to failures of Jimmy Carter, no doubt the absolute worst president to ever occupy the Oval Office, are not only being repeated, but compounded. Sold to the world over this half-race, Barack Obama is well on the way to destroying America and rapidly selling out every ally we have had for decades. Just as Carter did with Iran, in encouraging all to accept Ayatollah Khomeini, who had untold number murdered who might oppose his dictatorial Islamic regime, Obama is ready to encourage Egypt to accept the Muslim Brotherhood into their government, even though they have long advocated the annihilation of neighboring Israel. As if such a blunder isn’t enough, Obama seems ready to repeat Carters mistakes in not only weakening American defenses, but our long time allies as well. SALT II, as it was called, failed to be ratified due to the Soviet Union’s invasion of Afghanistan, provoked by the Carter administration and confirmed by Carter’s National Security Advisor , Zbigniew Brzezinski in 1998.